A limited edition charity wine released by American rock bank Pearl Jam to help tackle homelessness in their home city of Seattle has sold out in just 15 minutes. Launched to coincide with a US tour that includes the band’s first concerts in Seattle for five years, 450 four-bottle custom printed boxes of ‘Home x Away’ Syrah/Cabernet went on sale priced at $150.00 each, and sold out within 15 minutes of the news being announced on Pearl Jam’s email newsletter. Featuring a label designed by the band depicting silhouette skylines of four cities on the band’s forthcoming tour: Seattle, Missoula, Chicago and Boston, the ‘Home x Away’ gift boxes were made in collaboration with the Underground Wine Project. Spearheaded by Washington winemakers and diehard Pearl Jam fans Mark McNeilly of Mark Ryan Winery and Trey Busch of Sleight of Hand Cellars, ‘Home x Away’ 2015 is made predominantly of Syrah with a touch of Cabernet. The grapes hail from the Red Mountain AVA in Washington State and the wine spent 22 months in mostly new French oak. According to makers McNeilly and Busch, the inky purple wine is “incredibly dense and rich”, with “layers of ripe cherries and black plums, some tobacco, graphite and toasty mocha notes, fine grained tannins, and excellent length”. The duo say the wine is ready to drink now but will also cellar for a decade. To allow as many fans as possible the chance to get their hands on a box, they were limited to one per person. 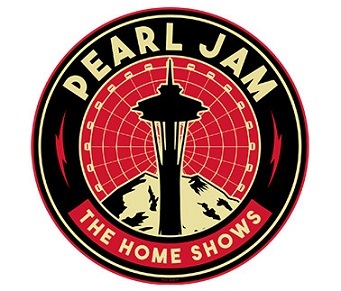 All of the proceeds will go to the Vitalogy Foundation, Pearl Jam’s Seattle homelessness awareness and relief charity. “Trey and I have met Pearl Jam over the years at different things, and we have worked with them a little bit with some of their charities, but it’s fun to be pulled in a little bit closer for a great cause,” McNeilly told Wine Spectator. “If we can work with Pearl Jam and find some new arenas to talk about people’s responsibilities towards charity, you can open people’s eyes and let them know everybody has a responsibility to help everybody else,” he added. Pearl Jam said in a statement: “Over the past 28 years, Seattle’s population has grown by 40%. The region’s homelessness population is now the third largest in the country, with over 12,000 people living without shelter on any one night. This is not a number to be proud of. Pearl Jam’s frontman Eddie Vedder is a longtime wine lover and can often be seen swigging red wine from the bottle during his gigs. He’s particularly partial to Pinot Noir.